As a lifelong New Yorker, I read the New York Times. 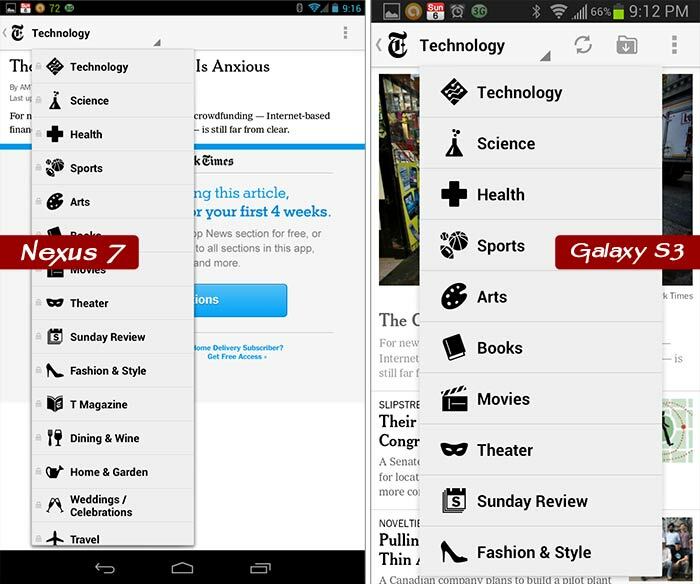 Since my first Android phone, I have been saving trees and reading through the New York Times App. Originally, it was free, and then it was not … such as life. For over a year now, I have been paying $3.75 a week as a Smartphone subscriber. 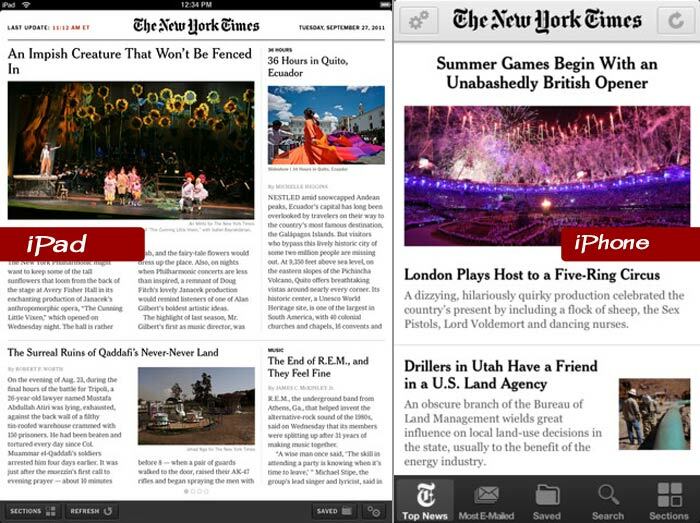 The NY Times has one App for Android and it works on both my Samsung Galaxy S3 and my Nexus 7 Tablet (both running Jellybean). 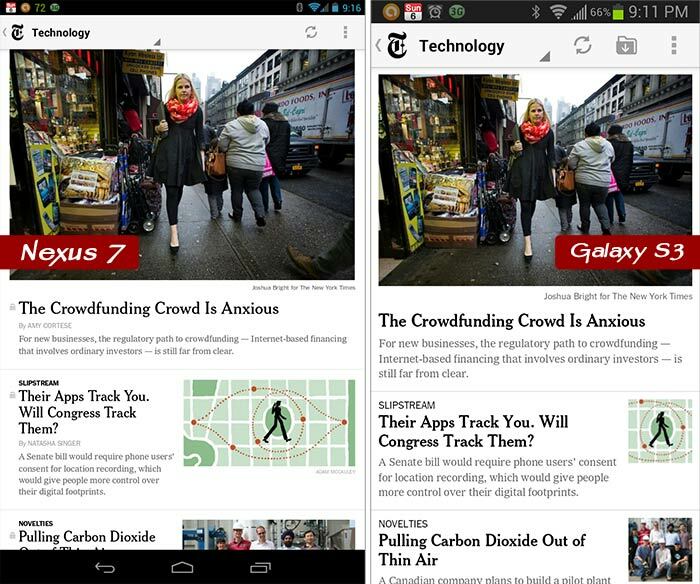 The same Android app even performs the same on both devices. Without the labels, it is virtually impossible to tell them apart. However, all the changed in the middle of December 2012. 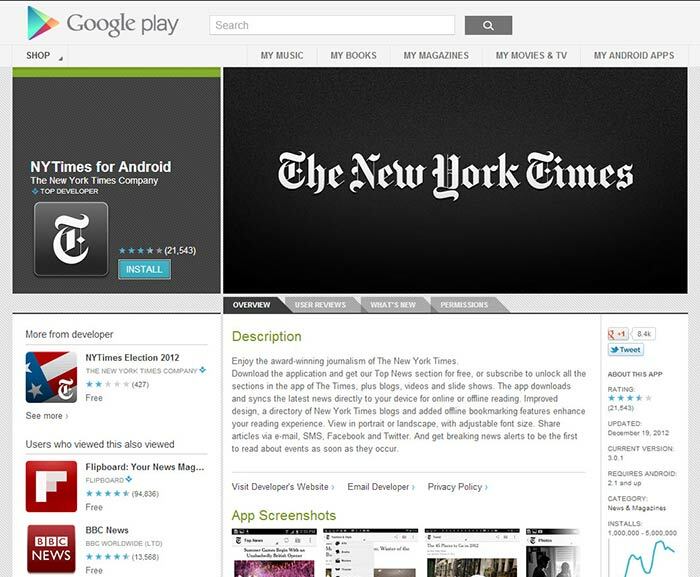 Even though the NY Times has one App for Android, they are now detecting the device and forcing Tablet owners into the more expensive subscription plan of $5 a week. And, if you want to access through both devices, that means an even more expensive subscription of $8.75 per week … for the SAME APP! With the iPad/iPhone versions, it is a very easy argument to justify that the iPad Tablet version should cost more. 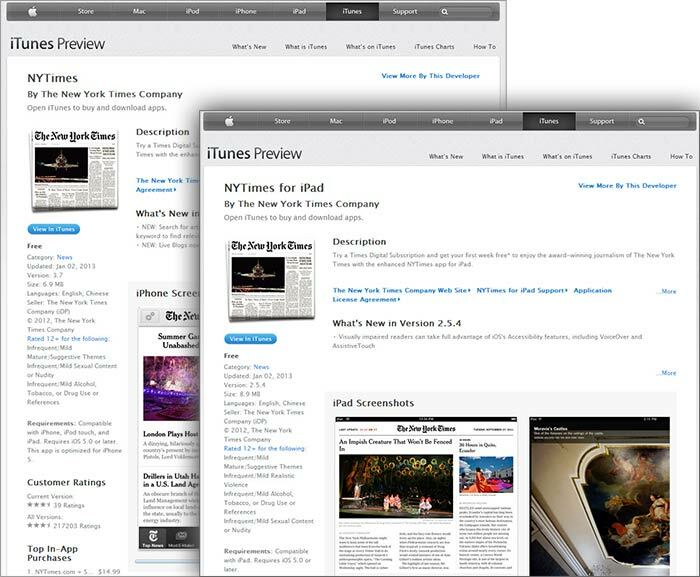 It is a premium experience that really feels like the print edition. Unfortunately, Android users have only one App and its the SAME experience on both smartphones and tablets.